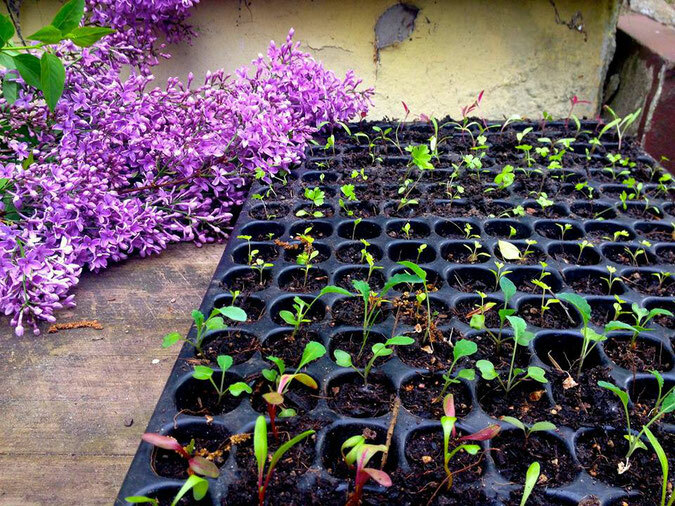 On Sunday the 25th March from 1-4pm Cafe Botanicos gardener Natasha Weddepohl would like to invite you to join her for the "spring Seedling, propagation, plant care and garden planning introductory workshop". Seedling work including sewing and germination, maintenance, and transplanting phases. -Propagation material: what you need to get started, and various methods. -Growing conditions: light, water, temperature and how they affect seedling growth. -What distressing signs to look out for- how to ensure a healthy plant from the early phases. Companion planting- a brief discussion on what one needs to consider when deciding what to sew for your coming growing season. Additionally, if you are having problems with your houseplants- bring pictures (showing the symptoms) and we can discuss some of the most basic care necessities for plants to introduce the concept and to discuss during our tea break. The workshop is aimed at beginner level growers, although if you have some experience and would like to gain some new perspectives please do come along as there will be in depth material provided from a professional growers perspective. The course and any accompanying literature will be offered in English. Please note: this course can only accommodate a limited number of participants- therefore in order to avoid disappointment please register as soon as possible. Payment is required upon registration and is 35 euros per person, which includes beverages during the course. Please email us to find out more about payment options. In order to register please make a payment of 35 euros to the following IBAN: DE08 1005 0000 0190 2363 10. With a reference: „workshop 25.3 & name“. Please then email us at garten@cafe-botanico.de your full name and contact information stating that you have paid. We will then register you once we can confirm payment. Please feel free to email us at garten@cafe-botanico.de If you require any further information. Natasha is a 32 year old South African with over 12 years professional Market gardening and horticultural experience in working in boutique market gardening, in America, England, South Africa and now Germany. She holds a BSc in Sustainable Development and is currently undertaking an MSc in Horticultural Science. Her main areas of speciality are propagation and germination for large-scale organic and biodynamic permaculture based production systems. And her main passion and interest- sharing the knowledge of how to grow your own to help people get in touch again with nature, the earth and where our food comes from.